Who knows what Gertrude Stein really meant when she wrote, “A rose is a rose is a rose is a rose.” All we know is that the rose is a symbol of beauty, of peace and of nature’s bounty. And we love them whether they’re in a lush bouquet, tucked into someone’s hair, stamped onto greeting cards or running rampant over a garden trellis. The result of nature’s own matchmaking and man’s early efforts to cross one rose with another, old garden roses offer a glorious diversity of delicate blooms, colors and fragrance. The York and Lancaster Rose is a 16th-century rose linked by legend to England’s War of the Roses. 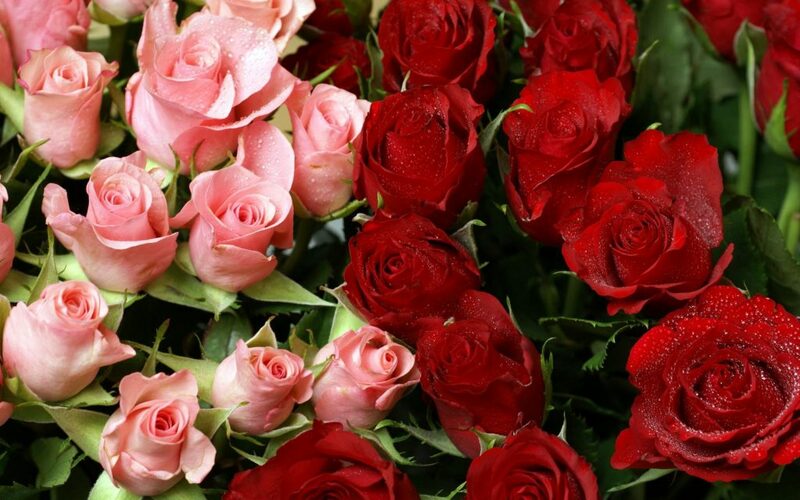 In 1800, roses from China arrived and were bred with European roses. From this union came the first true red rose. China tea roses introduced an all-new rose shape. The famous pioneer rose called ‘Harrison’s Yellow’ is the rose that grows along the old pioneer trails from east to west across America. These are invented or hybridized roses bred by professionals seeking to create brand-new rose varieties. They are a mix of classes including shrubs, miniatures, floribundas, grandifloras and hybrid teas. The first modern rose was introduced in 1867 and is called “La France.” The favorite rose of London before World War I was the Madam Abel Chatenay. The Peace Rose is a modern rose named to commemorate the end of World War II.